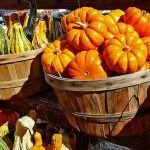 Courtesy of Fiery Foods Central, here are our best Thanksgiving articles. 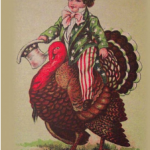 A Wacky Google Books Thanksgiving. 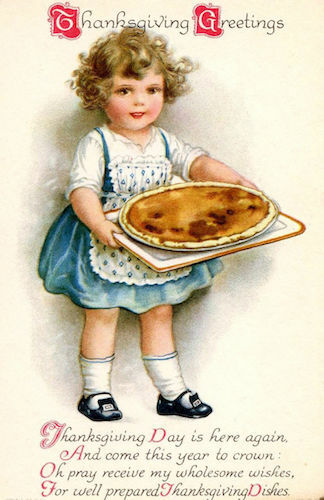 Most hundred-year-old (or more) descriptions of Thanksgiving are insufferably sappy (like the postcard above), but thanks to the hard-working scanners at Google Books, I was able to cobble (or gobble) together some suggestions for making this holiday a little more interesting. Gobble here. A Chile Lover’s “Mexican” Thanksgiving. 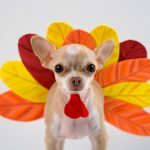 During the Thanksgiving holiday season, it’s the time of year that if turkeys were smart, they’d head for the hills or dress like dogs, and every food magazine has a picture of the perfect bird on their cover. Well, turkeys are definitely not smart, but cooking them is easy, and I’ll leave the conventional recipes to others. South of the Border here. 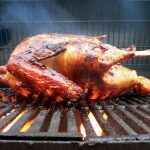 A Barbecued Thanksgiving. Most of what you think you know about Thanksgiving is just not true, but that doesn’t make the holiday any less enjoyable. 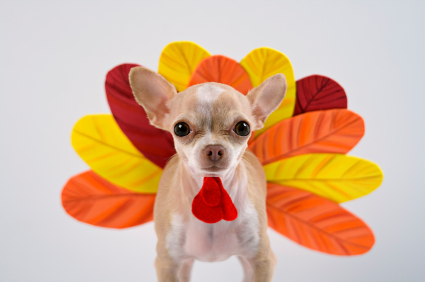 It is widely written that the first Thanksgiving occurred in 1621 and was celebrated by the Pilgrims, English settlers, and Indians, and that turkey was served. None of this is true. Q the turkey here. Spiced-Up Thanksgiving Trimmings. Thanksgiving is my favorite holiday because it’s the one that only celebrates food. It’s not commercial, doesn’t involve buying gifts, just sharing food with family and friends. Trim it here.